Baltimore, MD (July 17, 2013) – Otakon is proud to welcome back Producer Masayuki Ozaki. Until 2003, Masayuki Ozaki worked for GAGA COMMUNICATIONS, INC where he was involved in acquisitions of Hollywood titles and distribution & promotion of domestic titles. 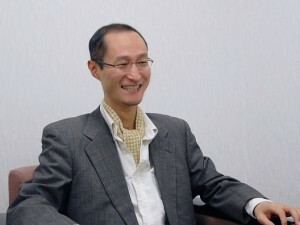 In 2004, he began his career at Sunrise Inc. where he was a planning manager for Mobile Suit Z GUNDAM series. 2005 saw Ozaki launching anime projects such as Sergeant Keroro, Zorori the Naughty Hero and other titles that are based on popular manga or novels as a producer and a planning manager. His credits include Dinosaur King, Inuyasha-The Final Act, Gintama the Movie, and TIGER & BUNNY. He takes his producer role beyond the realm of anime and is involved in producing music events, musicals, and other areas of show business. Masayuki Ozaki last appeared at Otakon in 2011.